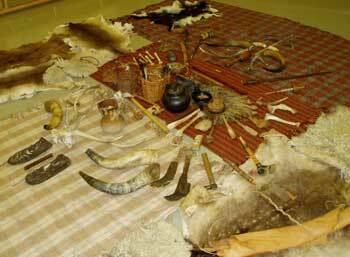 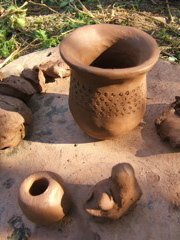 A range of flexible lesson plans to suit your needs with hands on 'experiential learning' utilising many authentic artefacts, tools, clothes and objects from Iron Age lifestyle. 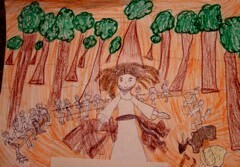 I use story telling and music, movement, dance, video and nature activities. 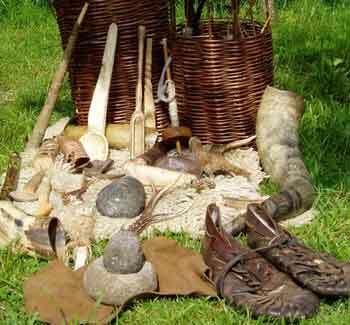 The Celtic Chris experience will suit: any age/year group studies of the Celts; The Romans; Book Week; Religious Education; Art; Music; Archaeology; Geography; Environmental Education and the Study of Nature. 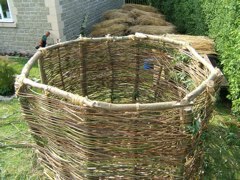 Half-day, full-day workshops and multiple-day workshops for on going longer term projects - e.g. 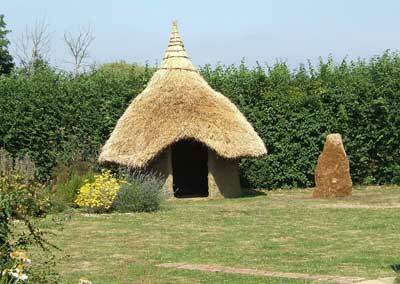 bread & cheese making, basket weaving, pottery kiln, Celtic artwork or even building your own Iron Age roundhouse! 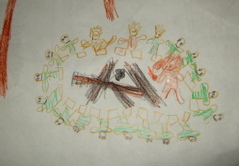 'Chris has a natural and unique gift for inspiring the class and keeping their attention... true learning in action... 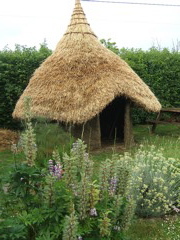 He is a brilliant and natural educator, sensitive to the mood and energy of the class...' Mr. Michael Fairclough, Deputy Head, Broughton Primary School. 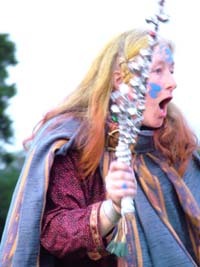 The whole experience helps one understand what it was really like to be an Iron Age Celt - learning with all of one‚s senses to really gain an empathy with ancient Celtic people. 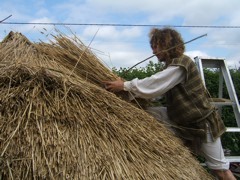 You may recognise me From the BBC television programme 'Surviving The Iron Age' in which 17 volunteers took part in a project to live in Iron Age conditions for 7 weeks. 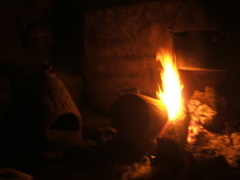 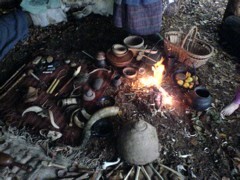 I also work for the Chiltern Open Air Museum as an historical interpreter in an iron age round house. 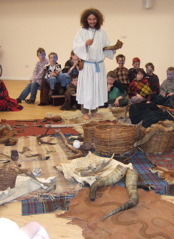 'Chris' object-handling sessions are exceptional, his storytelling defies superlatives.' 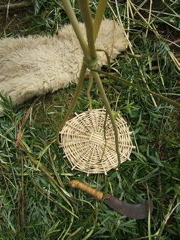 Chris Faultey TES. 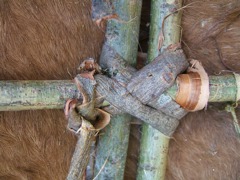 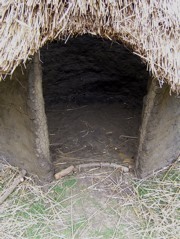 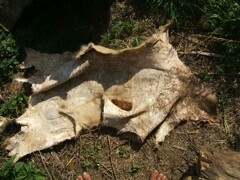 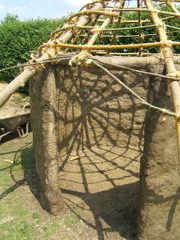 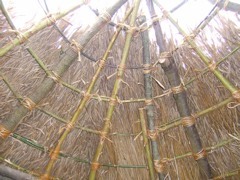 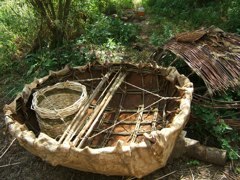 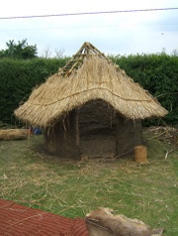 Houses & Homes.... build an Iron Age Round House at your school from natural materials. 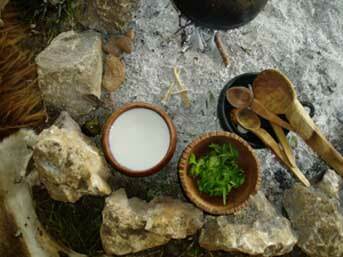 visit Theatre Of Alchemy to see more. 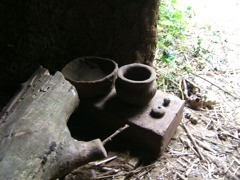 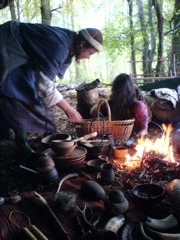 Iron Age Day in the Woods in collaboration with Frontiers- adventures in learning. 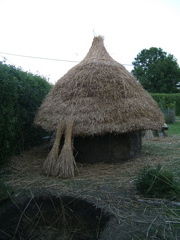 Please email CelticChris or phone 07816591151 for more information.